and have you ever looked into birth control or Acutane?” This didn’t seem right to me. Aren’t you going to ask me how I feel, what I’ve been eating, what my stress levels are? Or tell me why I have this all over my face? That was the day I decided to take things into my own hands. Aren’t you going to ask me how I feel, what I’ve been eating, what my stress levels are? Or tell me why I have this all over my face? That was the day I decided to take things into my own hands. Acne. Yes, I had really bad acne. And I hated going out because of it. I didn’t want any of my friends, with their perfect complexion and careless lifestyle to even know I had it. Applying cover up was always a nightmare, and I avoided foundation like the plague because I didn’t even like makeup, and less was more to a girl like me. I always wanted to know why I had acne, and I wanted to know how to help my body get rid of it without the drugs, without birth control or antibiotics. And I didn’t stop until I found the answer. And now, with my skin being the clearest and healthiest it’s ever been, I am so excited to share it with you! My name is Shelby. I am a hormone-imbalanced, acne-prone survivor. And I found my answer through whole foods, stress management, and SKIN CARE. Before I ventured off to school to become a holistic nutritionist and truly learn about my body and whole foods, I started asking myself just what I was putting on my face, body, and hair every day. And what I discovered wasn’t pretty. “Phylates, parabens, formaldehyde, sodium lauryl sulphate, oxybenzene…” the list goes on. I started reading all my labels, from makeup to body wash. And what I read scared me because 1. I could barely read the ingredients and, 2. What are they??? I discovered that I was layering up my skin with toxic chemicals that not only made my acne worse but were causing my hormone imbalance, mood swings, painful periods and basically poisoning my body. Everything you put on your skin goes directly into your bloodstream. Into your body. And this opened my eyes completely. What are you putting on your body? On your baby’s body? I would suggest you throw it out now and never look back. According to Huffington Post, the average woman puts 515 chemicals on her body EACH DAY. And if this woman is planning on having children or breastfeeding, those chemicals will get passed on to the child. Don’t “use it up”. Throw it out and start fresh. The question is, what products do you use now? And that was the same question I had. I discovered there are a lot of natural options, as I quickly found out when I started working at one of the largest health food stores in Canada. But when I started reading the ingredients, I was taken aback. “This is natural?? ?” I would ask myself as I scanned through the lengthy list of preservatives and chemicals I called “fillers” because that’s all they were put in to do. I was now very educated in ingredients and their interactions, and I wanted no compromise. Yes, it may not have toxic chemical ingredients, but do I want to put on something that “could be” dangerous? No thanks. would have my clients and regular customers frequently ask me what I would recommend and what I used, and I would be reluctant to give them answers because I really had none, left with only mediocre products to recommend to them. And then I fell in love with oils. I’m a huge researcher, and I started looking into plant based oils and essential oils because I kept hearing crazy success stories from people using them topically. So I just had to be in the loop. I was always terrified of using oils on my skin, and with my past history of trying different oils with no success, I wasn’t too excited. Not only did I discover the powerful healing profile of plant oils and the hundreds of bioactive compounds contained within them, I discovered my passion. And this marked the beginning of Shelby Naturals. After discovering that oils are very delicate, and must be organic and cold-pressed to contain 700% more bioactive compounds compared to oils extracted via conventional methods, I started calling up the companies whose oils I was using. I asked them the simple question of the origin of their oil and how they pressed it and was surprised to hear that they didn’t know. So I started looking for companies that did know. And I found them, and the best oils that gave astonishing results to every woman and man I tested (including myself), no matter the age, skin type/condition, or sensitivity. Fast forward 3 years to November 2016, Shelby Naturals officially launched and I haven’t since looked back. Shelby Naturals is what I wanted that I couldn’t find. 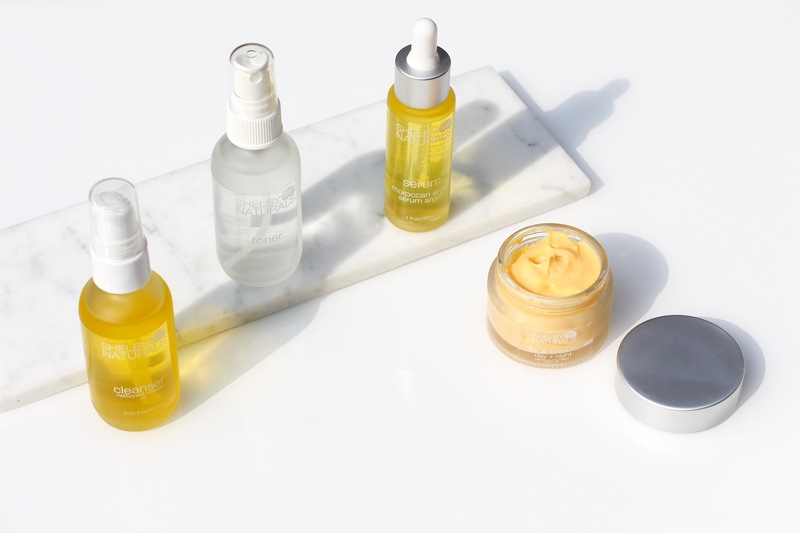 In all my research and testing, minimal formulas containing the highest nutrient and antioxidant-packed cold-pressed oils are what transforms the skin. They are active ingredients, working actively deep in the skin to produce collagen, regenerate new skin cells, and reduce inflammation. They do not need to be preserved as they have their own self-preservation via the massive amount of bioactive and antioxidant compounds contained within. Oils can be found and purchased anywhere, but the oils I use can not. They are sourced from small cooperatives around the world, most of them family owned, who take pride in producing only the best, cold-pressed oils and essential available. I personally formulate each product in small batches by hand. Shelby Naturals is beautiful inside out. I focus on quality, performance, and simplicity. Falling in love with your own beauty and not trying to hide it with synthetic chemicals that cause havoc internally. Letting your skin breathe and glow with radiance, health and the youthfulness that is you. And having the confidence in where your skin care is coming from and how it is made. Use the coupon code dorit15 to get 15% off your entire purchase. I never promote or recommend any product that I don’t trust or either use myself or on my children. This is my promise to you! If you use the coupon code above, I will get a small commission, so if you want to support my work and this website please use it. Thank you for your support! !